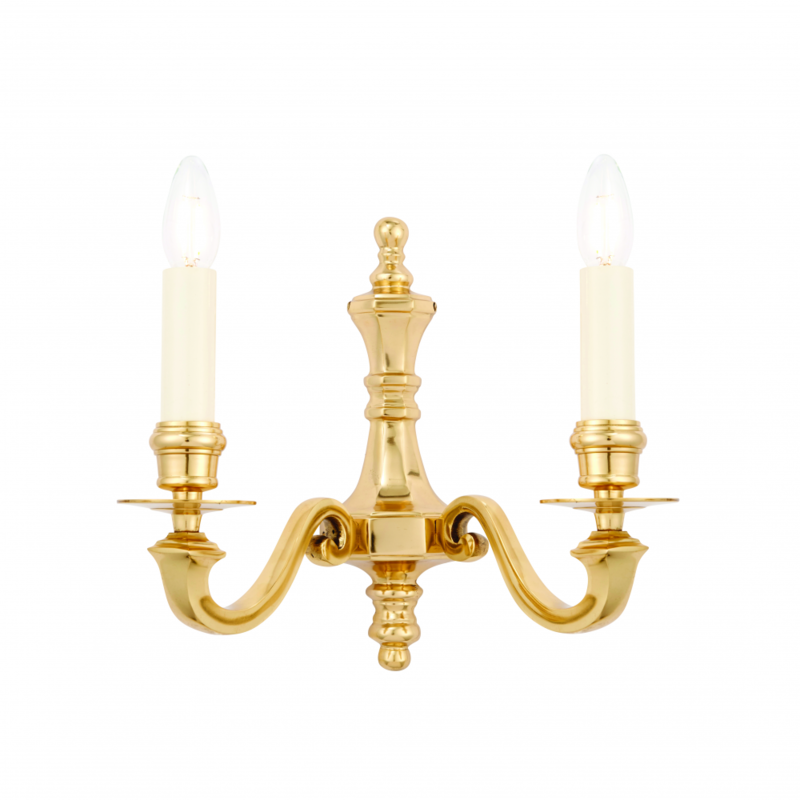 The Happy Homewares twin wall light has a classic candle design, made from solid brass with gloss cream candle drips. Dimmable and compatible with LED lamps. Matching items available. 17cm projection x 29.5cm height x 32cm width. Bulb information: 2 x 60W E14 candle - not included.